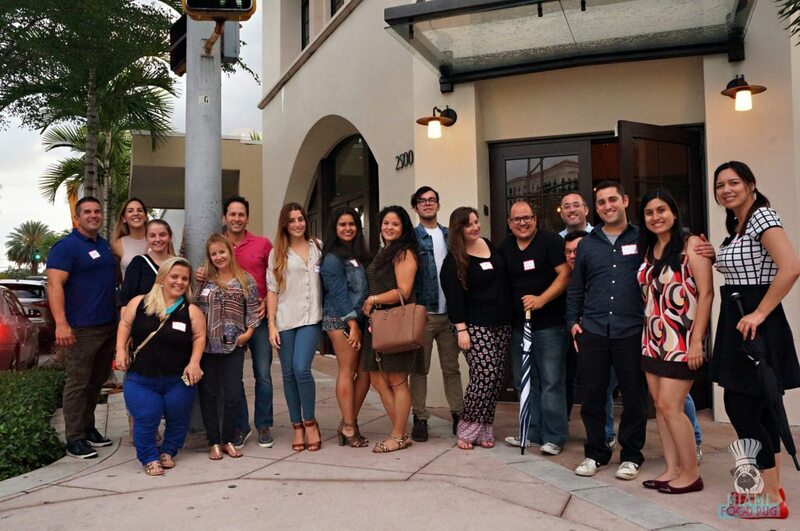 Last week, Uvaggio hosted its latest Somm Slam at the Coral Gables Woman’s Club. 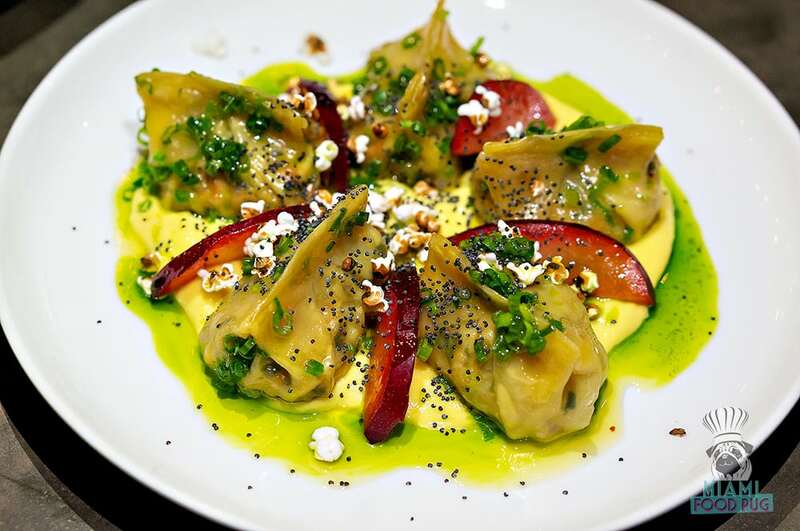 Typically, the series pits Uvaggio’s Head Wine-O Heath Porter against local sommeliers in a wine-pairing dinner battle; previous competitors have included somms from 50 Eggs and The Genuine Hospitality Group. This time around, though, the competitor hailed from New York: award-winning sommelier Patrick Cappiello. Cappiello currently serves as Wine Director for Rebelle as well as Pearl and Ash on the Bowery. 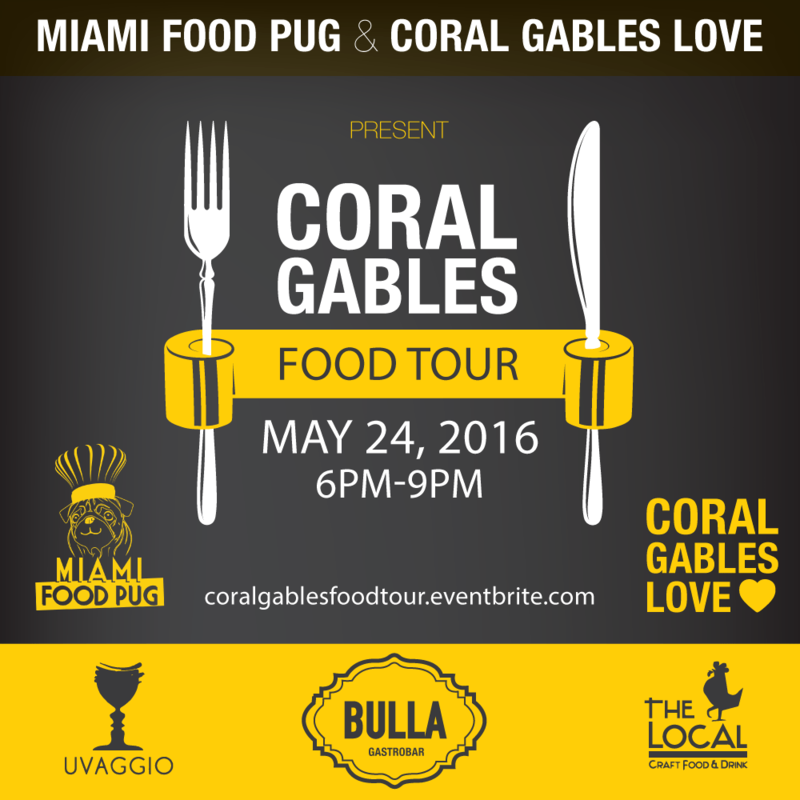 Supporting the two in the kitchen were Uvaggio’s Tanner Gil and Top Chef talent Grayson Schmitz. Needless to say, guests were in for a treat. 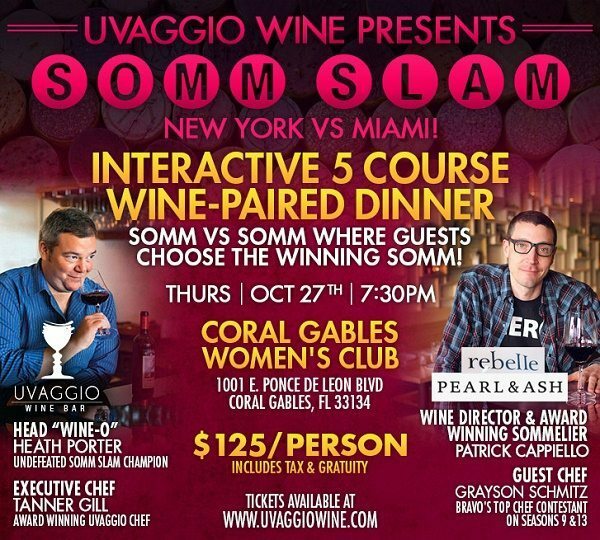 Uvaggio Wine Bar & Restaurant is pleased to announce its latest Somm Slam Competition and Wine Dinner taking place on Thursday, October 27 at 7:30 pm at the Women’s Club of Coral Gables. Uvaggio’s Head “Wine-O,” Heath Porter will go pour-to-pour against award winning sommelier Patrick Cappiello, operating partner and Wine Director of New York restaurants Rebelle and Pearl and Ash. 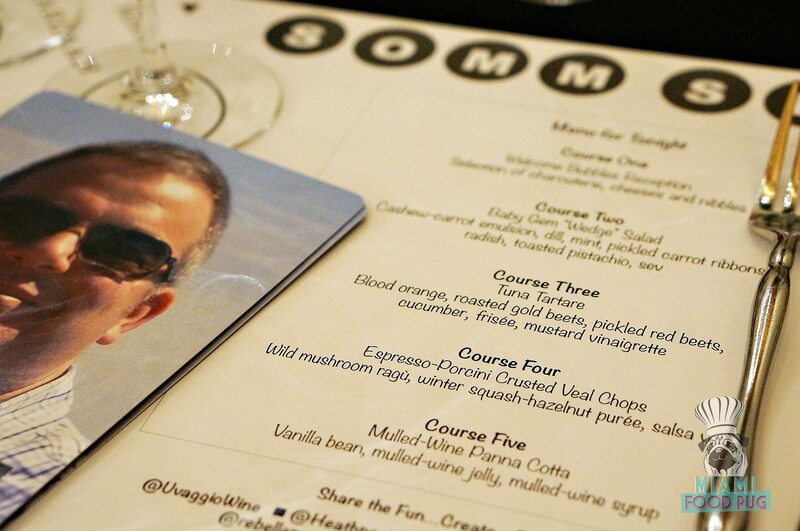 Guests of the Somm Slam will enjoy a five-course wine-paired dinner, with the three middle courses comprising the competition.